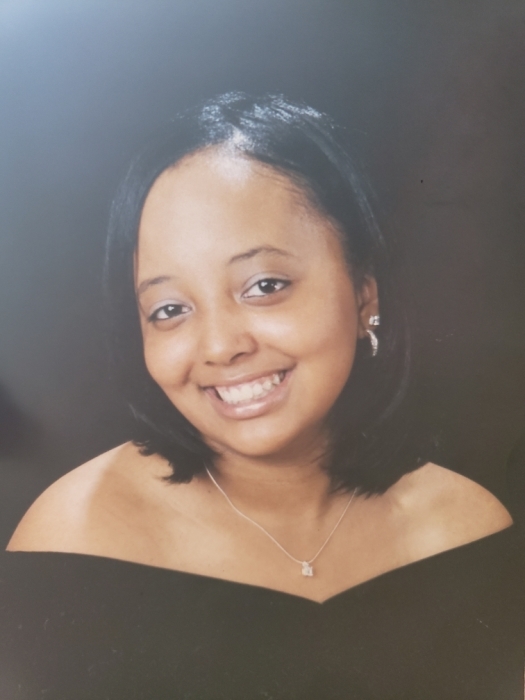 Misty Monique Garner, “Peanut”, departed this life Friday, August 31, 2018 at UT Medical Center. She was a graduate of West High School, Class of 2006 and received an Associates degree from Virginia College, Class of 2015. Preceded in death by her grandfathers, James Garner, Sr. and Lucky B. Fowler; grandmother, Mary Elizabeth Fowler; aunt, Nekita “Skeeter” Wells and cousin, Don “DJ” Bowman. Survived by her son, Elijah Markeese Garner; mother, Geraldine “Redd” Garner; father, James Garner, Jr.; siblings, Candice and James Garner III; grandmother, Gloria Garner; aunts, Aletha (Michael) Debril, Alisha (Steve) Williams, Sandra Perkins and Pamela (Germaine) Alison of Beaumont, TX; uncles, Alan Garner, Eddie Wells, Lucky B. (Belinda) Fowler, Jr.; Keith Fowler and Willie (Sherry) Fowler of Beaumont, TX; a host of other family and friends to include devoted cousins, India (Eddie) McDowell, Maurice Clark and Chelsea (James) Jones.